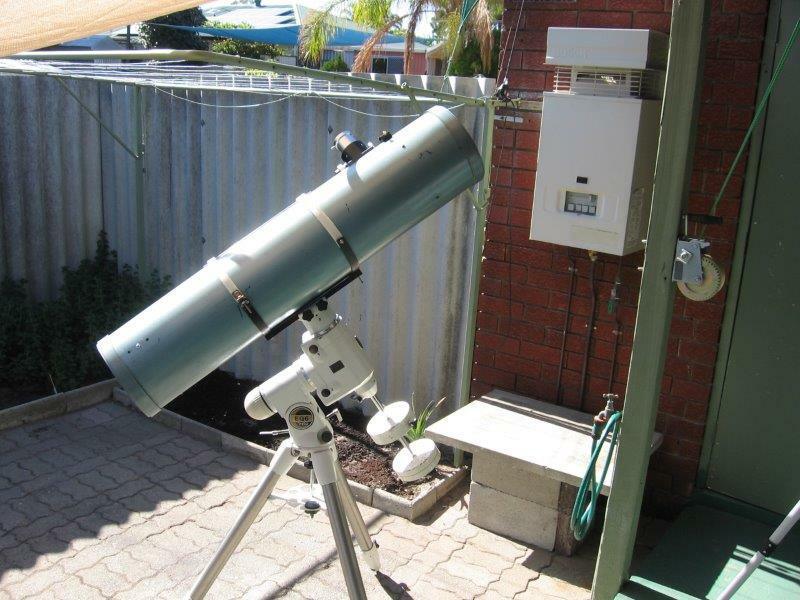 Click for weather forecast Welcome to My Astronomy Page: Mainly I have spent most of my time viewing the moon and planets in between trips into the hospital over a good many years. In recent times my activity has been quite restricted, but hopefully it will improve, especially with my latest aquisition of a small SW Mak90. (see below) I am also updating my other equipment photos which will appears shortly. My pages at TPG will not be upgraded and once everything has been transfered to my own site it will be closed. 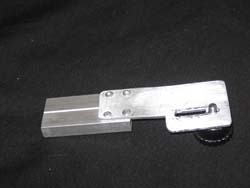 Fig 1 GSO Crayford racked in height 3" SW880 R&P Racked in 4"
Shows base of R&P milled out an extra 1.82mm the diameter of the GSO and 4x4mm tapped holes. I found a local Engineer who had a computerised Milling machine and heonly charged a small fee for doing this work during a "quiet" period. R&P Base fitted to GSO Now only2.5 high. You could machine out the GSO base . But I preferred to usethe old R&P which will still fit on the modified base and thecrayford is still original if wanted." 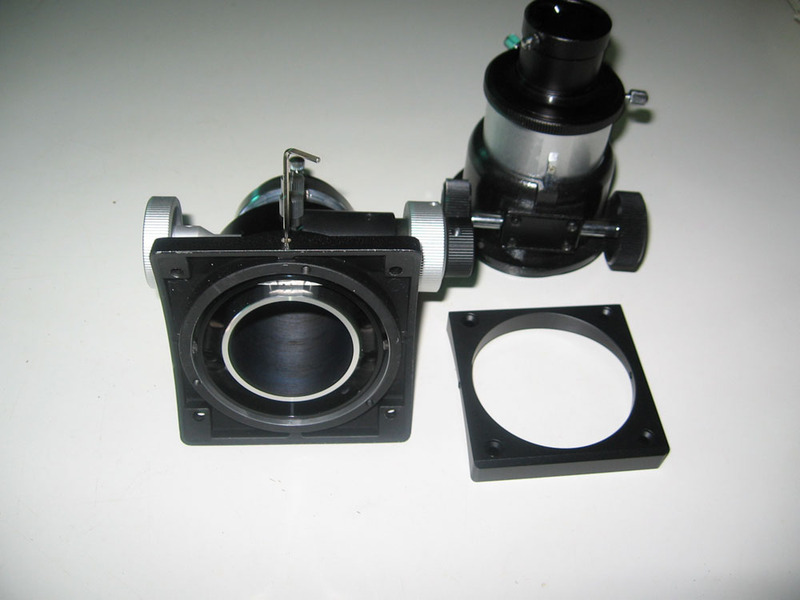 Note: Having modified the focuser for the camera, you will of courseneed a short extension tube adapter to make up the loss in overallfocal length to use your normal EPs. These tubes are quite cheaplyfound on EBay. The 3rd camera mount, came about quite by accident, searching through my junk box, I found a 50mm PVC pipe joiner and discovered that the inside diameter was exactly the same as the OD of the 1.25" EPadapter, also by fitting a filter extension on the camera prevented the lens of the camera from touching the EP face, which fits perfectly and aligns spot on in the adapter. 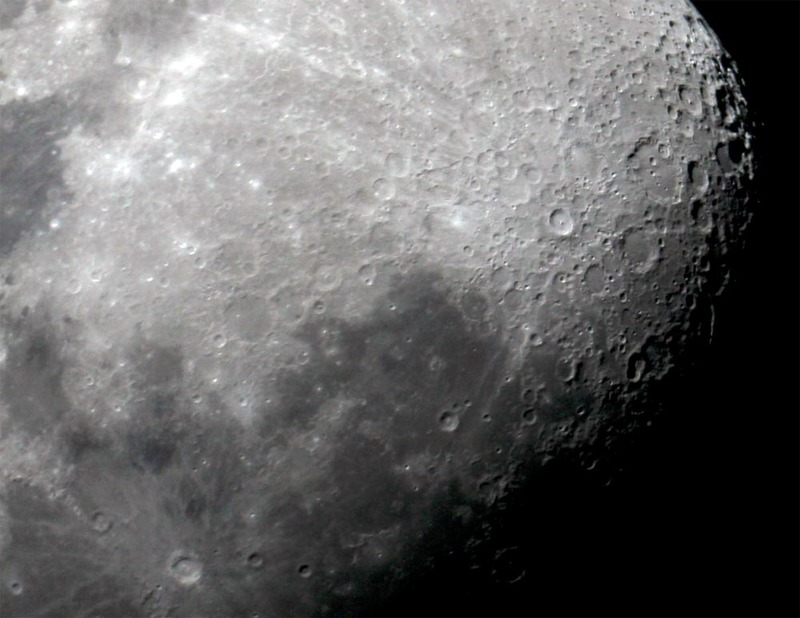 The third photo is a shot of the moon taken using this adapter using a GSO SP 26mm. 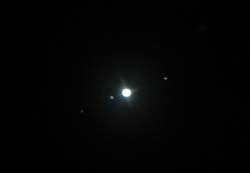 Pic 4 a much overexposed picture of Jupiter shows its potential. The camera is a Canon A520 4mpxpoint and shoot. 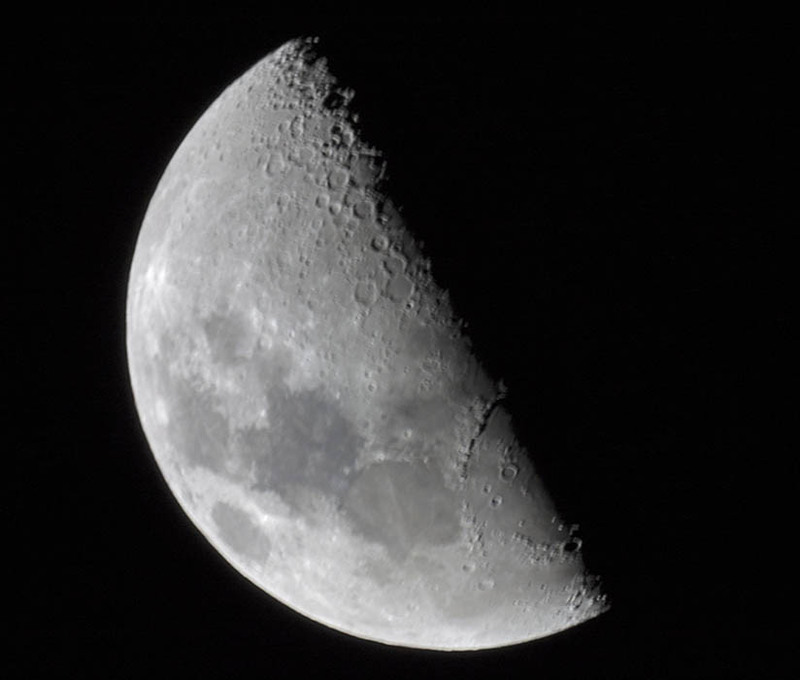 Interfacing a Canon EOS 350D XT Rebel proved to be a bit of a problem with the 200mm Dobsonian, in that the focal length of the camera added a further 35mm to the focal length (and the focusing range of the scope) using an EOS Tee ring and a Meade adapter. 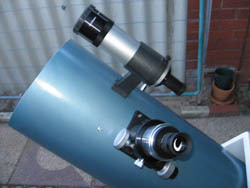 The only solution tostart with was to raise the Primary mirror 60mm up in the tube. 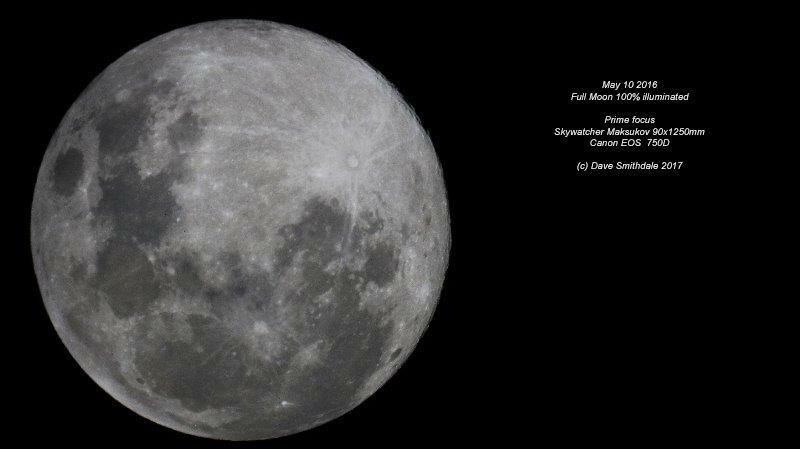 This of course also put the EPs out of range of the focuser, this was compensated by using the 60mm focal extension tube which came with the Meade adapter. With a DSLR camera you do not have a preview of the photo when shooting and focusing of the scope must be done through the viewfinder. 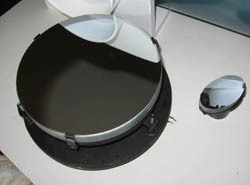 The above photo was taken using only the scope's mirrors in the "PrimeFocus" mode, which means no eyepieces nor lens are used. 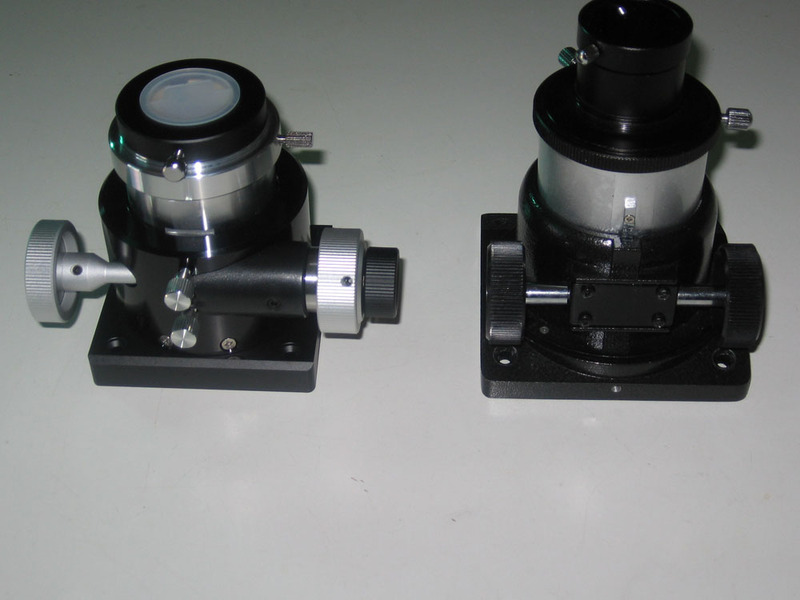 This can present a number of problems, like focusing and the length of the exposure on a scope manually guided, hence the EQ platform project. 2Xviewfinder extensions are available to assist in focusing. Note: The Canon cameras after the 350D were fitted with "Live View" and an HDMI output. 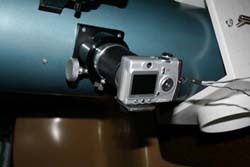 This allowed a monitor to be used for viewing aand focusing also allowing both single shots and a Video recording to be made. I now use an EOS 500D which has these features. Almost full moon, focusing and editing moonshots is becoming better,the extension viewfinder for the Canon, has certainly proved its worth in fine tuning the focusing, which can be difficult at the best of times for my ancient eyes. December 2009. 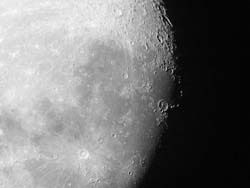 My last shot for the year approaching full moon 77% Exposed to light in the Tycho region showing some of the surrounding craters, a good clear terminator is alway a great place to view some of the moon's more spectacular features. 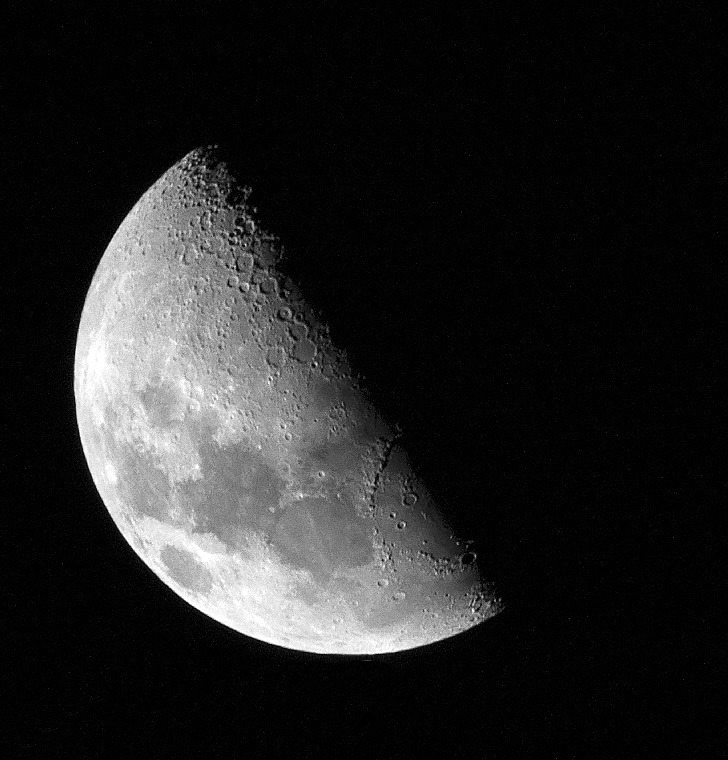 prime focus using a Canon 350D on a 10" Newtonian mounted on an EQ6 Pro This is a single shot photo. January 01 2010, Just after midnight A full moon, in fact a Blue moon, there being two full moons in January, plus later in the night a small partial eclipse of the moon which I could not capture due to a street light and the moon dropping behind a fence. This is a single shot. 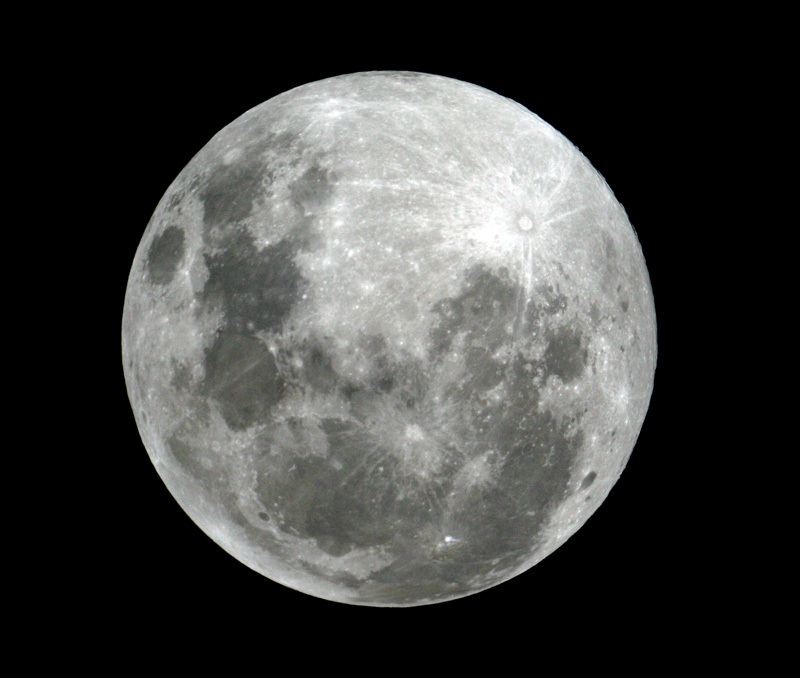 1/3200 Iso 400 Prime focus through the 10" Newtonian. No filters, what you see is what you get. A few days later I discovered my old copy of Registax, and I had 3 frames including the one above and processed them and this is the result. Registax is great little program for processing a number frames, but they have to be within certain parameters to be accepted. Even with a minimum of frames available this is the sort of improvement that can be made. Again still waiting for the RA motor so I can keep the subject inside the frame to obtain a reasonable number of frames. My Canon 350D (Rebel Xt1) in prime focus with an X2 to EOS adapter. 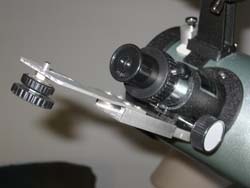 Prime focus does not use a lens but the Scope's Optics. Note the IR remote control, this has a range of 25 metres. 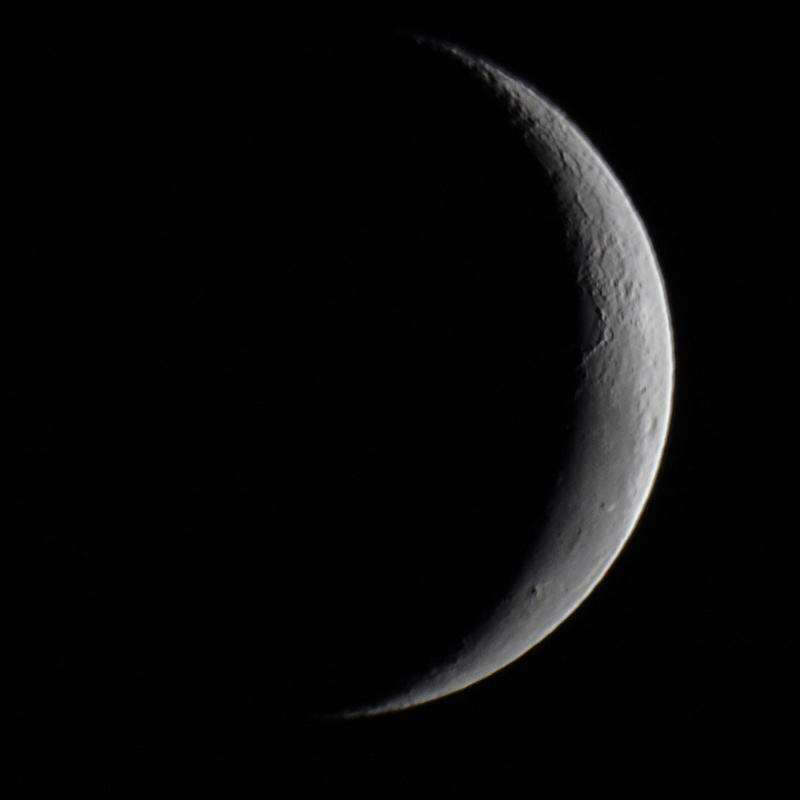 I initially tried out the Mak90 on my Manfrotto Tripod with a 141RC P & T head for some terrestrial test shots. 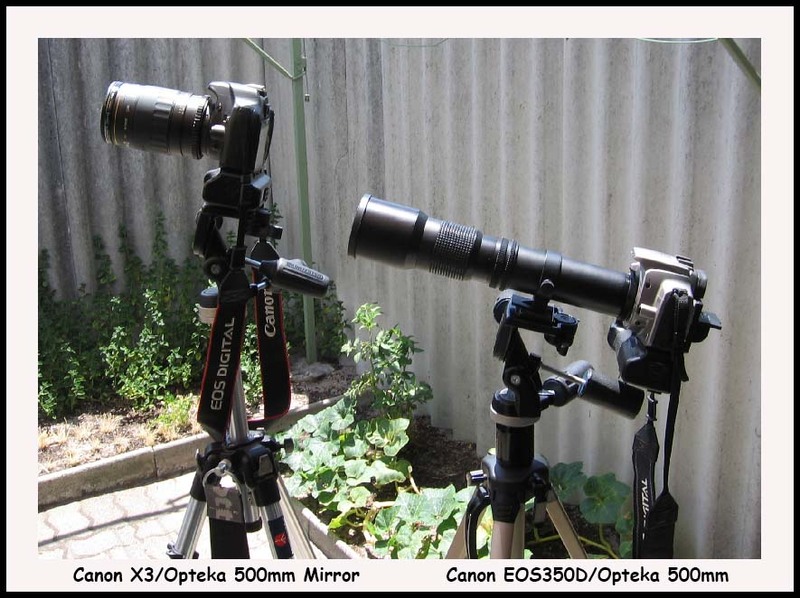 I also have a pair of Opteka 500mm lens, one a long telephoto and the other a compact "mirror" lens together with a 2X converter. Two 500mm lens 1. 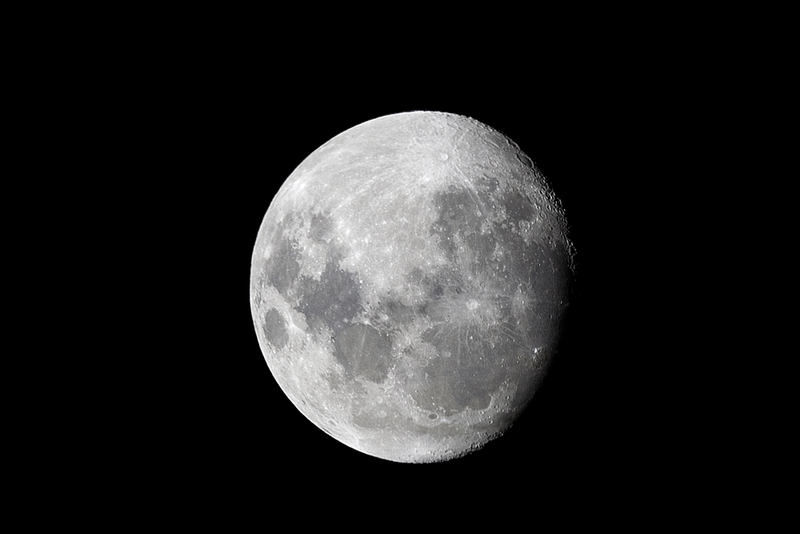 500mm Mirror lens by Opteka on a Canon Kiss X3 (EOS500D) Manfrotto 2. 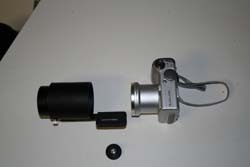 Opteka 500mm telephoto lens on Canon Eos 350D. Tripod built from "old" parts: (Manfrotto 141RC heads). 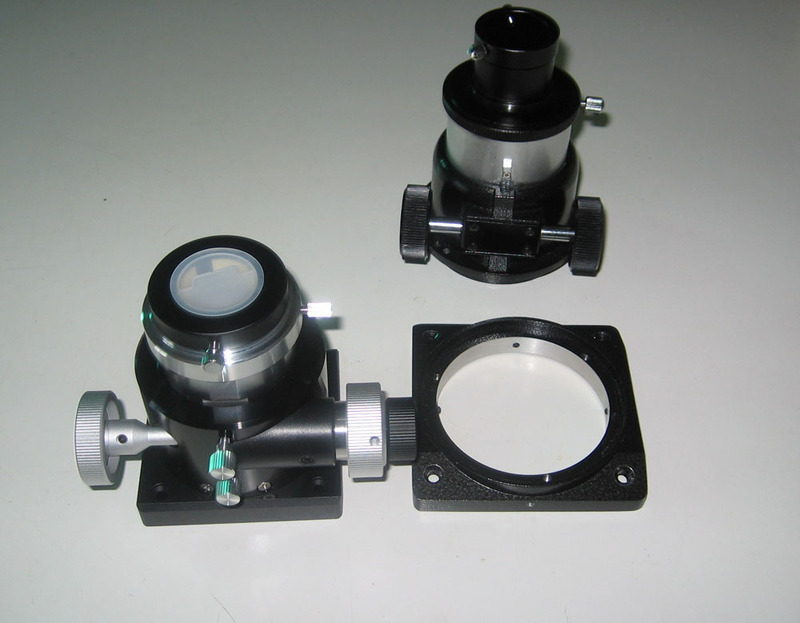 Both lens have 2X converters. A number of lens and accessories have been bought "47th St Cameras in NY NYC USA" A very reliable and speedy delivery company. 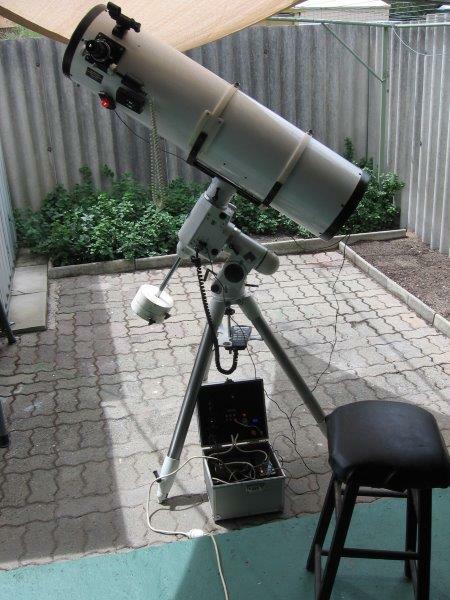 This is my Skywatcher EQ6Pro Guidance tripod with a Skywatcher Newtonian, 10" X 1000mm F5 mirror. The cradle I made from steel stock, teflon strips and case fasteners. 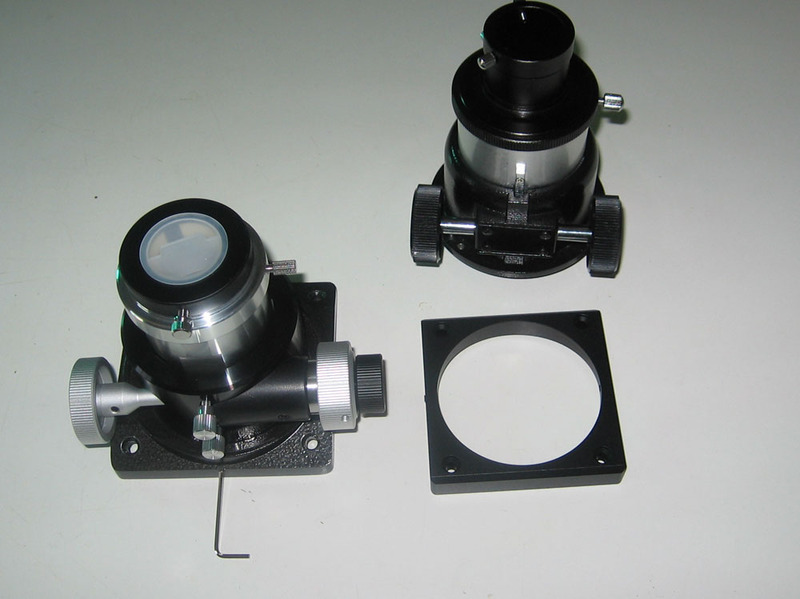 The focuser is a Crawford, dual speed driven by a Meade focusing motor. It has recently been fitted with a SW red dot finder, replacing a 2.5" scope finder. 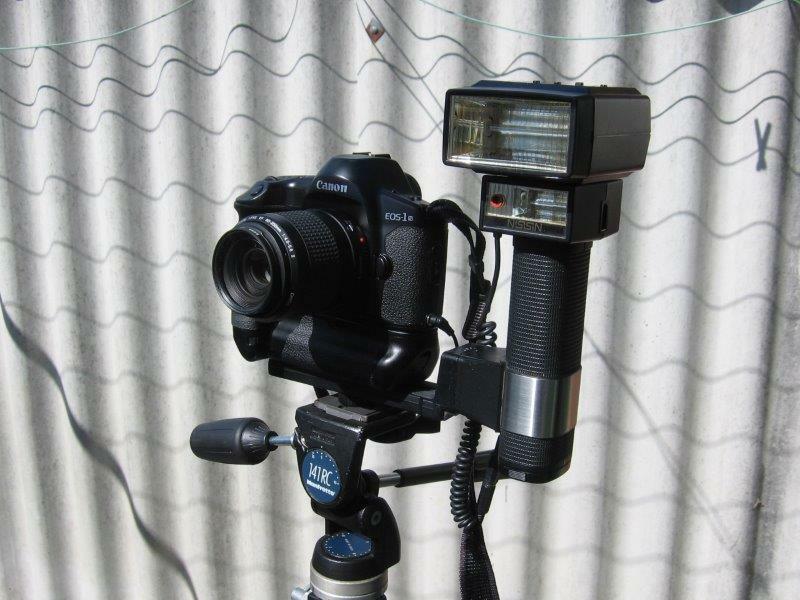 Main Camera use is a Canon EOS500D (Kiss X3) The Scope is also fitted with a 5" cooling fan. In April 2017 after another year of medical issues I returned again to getting my scopes out, blowing off the dust and chasing the spiders out. 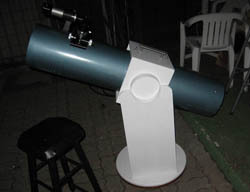 As with the 10" above both the scopes were originally setup on "Dobsonian" mounts, these are small wooden mounts with neither control nor real stability you merely push the scope in an "Alt/Az" movement at the subject you wish to view, very rarely hit and mostly miss. Originally I made all steel hoops for the 10" mount but later changed it to using Teflon strips for the flexible upper part. Never to throw anything out, I forgot about them until recently, the upper part which was almost identical was stowed away in my back shed. So a quick modification and the home made 8" rides high on the EQ6Pro guidance system . 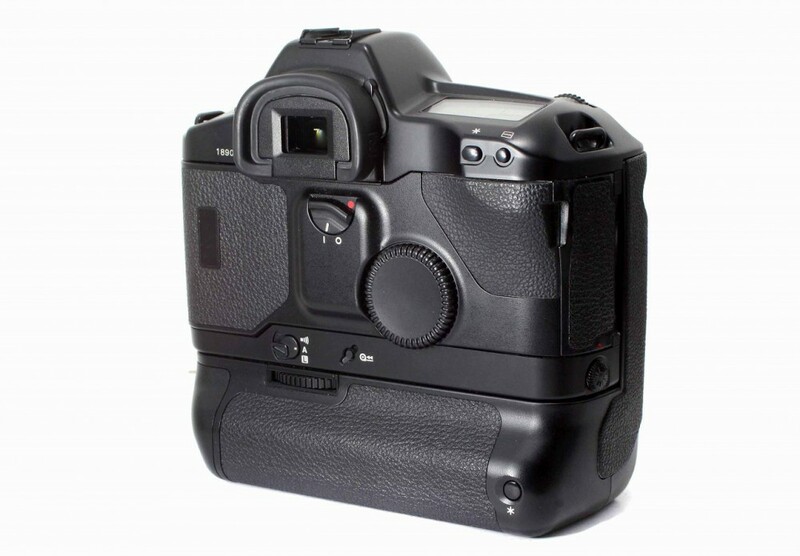 Jan 2017: Sold my EOS 350D and associated attachments to a friend of mine who had an accident with her 300D. and in May purchased this Canon EOS 1n HS Film camera from Japan, is in mint condition and came in the original box. This was the Flagship of Canon Cameras and just about the last film camera made by Canon. Under the 1n series there were various models, this one the HS has all the bells and whistles of the series. It was the peak of Professional film cameras and is still popular amongst Professionals and Photo Studios. The EOS 1V was released but needed a special film, which with the advent of the Digital Age, the film was discontinued. The 1n HS has a dual control system the conventional finger controlled wheel near the shutter release and a second thumbwheel and switch on the back film lid of the unit. The main on off switch is located bottom left, next to the manual film rewind button if you need to remove a partially exposed film. Otherwise the film identification and transport is all fully automated. You also need a "Pilot's Licence" to read through the large handbook of operating instructions! 5. Run Stellarium - Stellarium must be setup with location, date, time. 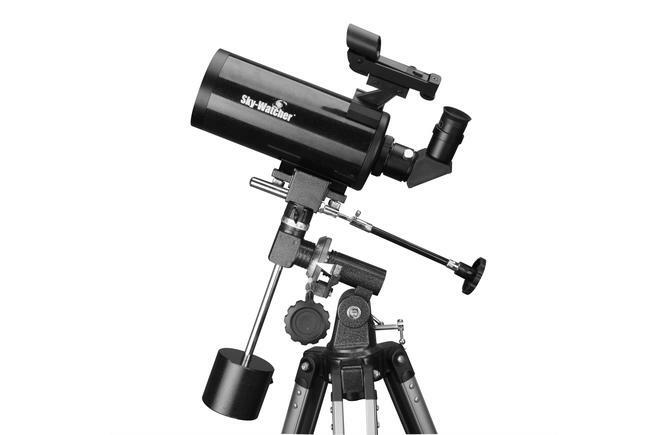 It is important you know where to find various setup tools especially PLUGINS and select and activate TELESCOPE. Check the left side panel for help files also Check Stellarium Web site for updates and information. Initially click on the 2nd "scope" Icom on control bar and then click on scope setup. It suggested that a Simulation Scope is setup ie "ScopeSim"
6. Again on left panel go into setup and plugins and activate telescope to load on boot. Plug cable into USB port and go into Device Manager and under COM ports it should be shown as COM3 etc. Check properties and driver and it should indicate drivers FTDI dated around August 2017 installed, if not reinstall driver. Do not let Windows 10 install generic drivers. 7. Connect cable to Synscan handpiece not the mount body!! 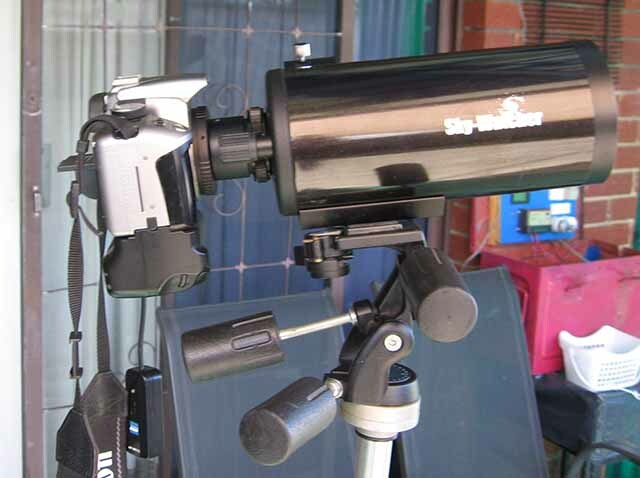 Go into Telescope on control bar and enter new telescope ie "Skywatcher 10"
With Stellarium correctly set up you should be able to select a sky object (Star, Planet etc) Left click on it highlighting it, then click on the Telescope Icon (not the first Icon, that's an alt/az switch) Click on current position then scan and scope should travel to that point if scope etc are correctly aligned. You may wish to try a Simulated Scope at first to see if the software is working. See 5 above. 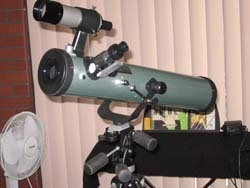 This is set up same as a real scope. When all else fails READ the manuals and help files. Stellarium is quite complex for a newcomer and has many features. Learn all about them. Shortly I will add screenshots of the appropriate panels. All three cables I have from FTDI are working great! But I cannot get them to work in CDC (Sky charts) this is a W10 issue. Go back to Win 7!. These are the essential links for information drivers and software. Copy/Paste/Go. I do not have permissions to insert links. Questions ? Feel free to contact me See Panel Above. Click on the logos to go there. These pages (c) 1999 - 2018 - D.L.Smithdale VK6DX.